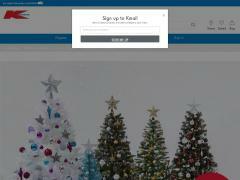 Kmart.com.au historical owner info, name servers, Analytics ID, Adsense ID, Addthis ID, advertisers, screenshots, meta tags, whois, site and server info. Shop online for Toys, Furniture, Bedding &amp; more at Kmart. Quick home delivery &amp; 28 day returns. Explore our range for your Home, Kids, Outdoors &amp; more. Sites related to Kmart.com.au based on metadata.